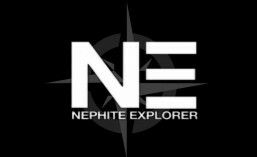 ← NEPHITE EXPLORER ON AIR IN UTAH! I’m so glad to see that you’ll be streaming the episodes on this website. This show is of interest to all Latter-Day Saints, not just those in Utah. Speaking of that when are you going to post the episodes. It says today for “The Remnant” but I haven’t seen anything yet. I’m looking for it, too. Will this be posted? today as soon as it’s done processing, stay tuned. Will the next episode ( “Lincolns Conversion”) be posted soon? Those of us who aren’t in Utah are eagerly waiting. Yup, it’ll be available in a few hours. If you subscribe by email than you’ll be notified automatically when it’s been posted. Thanks for the interest.